.In 1 month I want to lose half a stone, I will do this by doing 5 HIIT classes a week and cutting out alcohol in January. If you make smaller goals, it makes the bigger one seem more attainable, plus if you write down exactly how you're going to get there it makes the goal much clearer and much harder to deviate from. What's the point in making you goal to go to the gym 5 times a week if you hate the gym? It ain't gonna happen. The whole point of creating a New Year's resolution is to improve yourself and you won't be doing that by forcing yourself to do something, sure you may lose weight but you won't have enjoyed the journey. If you love netball, join a netball team and get fit that way, or join your University dance club, anything is better that nothing and more importantly...you'll enjoy it. I can guarantee that someone else you know has a similar goal to you so why not help each other out? If you've got a friend by your side it makes it a whole lot easier to keep aiming for your goal, you can motivate each other to keep going and encourage one another to stay strong. Other thing such as using apps to track your progress and share it on social media make you accountable for your goal and your friends and family can follow you on your journey. No one has ever wanted to workout more than someone with a new pair of trainer. FACT. New Year new you right? 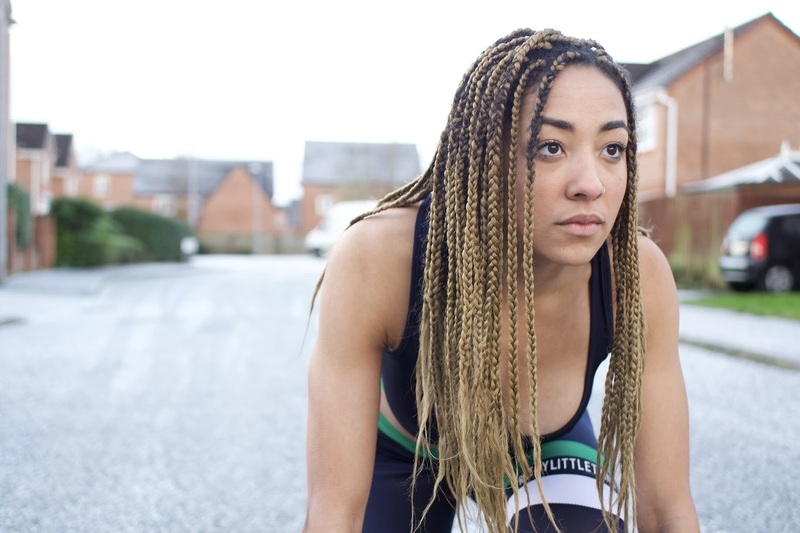 Well kit yourself out in brand new gear to keep you motivated during the hard winter months. Something that I do is buy workout gear I wouldn't normally wear so I can surprise myself looking fab in it once I've reached my goal..... and that means sports bras. You can buy what i'm wearing in this blog from Pretty Little Thing. If you've spent 2017 running after other people trying to be a people pleaser (as most people do) your main goal should be to focus more energy on yourself. This can be as simple as taking a bath once a week with your favourite bubble bath and reading a magazine, or maybe taking up a hobby that you've not yet had the time for. Anything that makes you feel better because until you start looking after yourself, you won't be able to help others, self love is key. 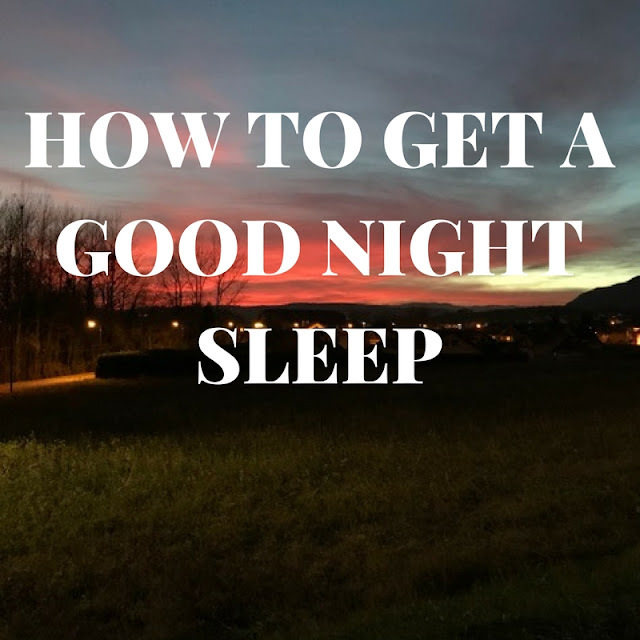 It' not new news that we all need sleep, and a good amount of it in order to function on a day to day basis, but have you ever asked why you actually need sleep? Truth is, I don't know the answer and neither do the scientists, they know what happens to our body when we sleep but in terms of the bigger picture, are yet to understand why exactly we do it, but let's just say it provides many benefits. When you sleep you may think that your boy shuts down to rest but it is in fact doing the exact opposite. Your body is processing all of the information from earlier on and organising it so that it makes sense. Your brain cells make new connections during the day and are then strengthened during sleep, it is also a time for your brain to clear away any waste chemicals that have accumulated during the day. Plus, if you've been working out it gives your muscles time to recover and grow. Aside all of this, it's pretty clear that we need sleep just for everyday functioning, when you've had little to no sleep everything seems to be x10 harder and you consume unhealthy amounts of caffeine and sugar in order to keep your eyes open. If this sounds like you, here are some ways to get a better night sleep. We all love a cheeky scroll before bed, but your phone, Ipad, laptop, tv are the worst things you could be looking at before you attempt to go to bed. The brightness of the screen keeps you awake at night and it is advised that you stop looking at a screen one hour before you go to sleep. Give your eyes a rest, read a book. If your problem is switching off at night then why not try your hand at meditation. This is one of the best ways to zone out from busy life and take a step back, I'd recommend using apps such as Stop Breathe & Think or Headspace if you're a beginner and don't know where to start. Another thing that I do if I'm really finding it hard to stop thinking is to close my eyes, breathe heavily in and out and focus on the motion of my breath. Not only does this stop you from thinking of other problems because you're focused on the task at hand, but it can also be quite therapeutic. Your body is going to have no clue when it's time for bed if your routine fluctuates like the weather in England. Asleep by 10pm one night but up till 5am the other after a night out? Give your body some slack, it may be clever but if you mess around with it like that it will mess up your sleeping pattern big time. Decide what time you want to go to bed at night and wake up in the morning and stick to these times. It may not sounds appealing getting up at the same time on a Saturday as you do on a Tuesday, but eventually your body will grow used to it and your body clock will be in sync. These fatty acids work wonders for your body and if you want to know more about how they can help you read my post of the Mediterranean diet here, but in terms of sleep they are pretty useful too. A research study was conducted on 362 children in the UK between 7-9 years old and the children that had more omega 3 had nearly 1 hour more sleep on average than those that took the placebo. Sleep deprivation often leads to poor health and cognitive problems, similar problems that arise when you have a deficiency in omega 3, so the scientist put 2 and 2 together. If you find yourself a little sleep deprived or tend to wake in the night, eat more oily fish such as salmon and tuna and you may see an improvement.. It's no new news that the Mediterranean diet is good for us, it's been in the media for years and presenting many benefits for our health but many of us will jug down the wine and splash a bit of olive oil on our meals without knowing why it is good for us. This is just a post to give you some information of the main points of a Mediterranean diet, which bits will benefit you and how they will benefit you. These are your oily fishes such as salmon, mackerel and tuna, plus olive oil, all of them are rich in omega 6 and omega 3 fatty acids. These type of fats are monounsaturated (the good kind) and have shown signs of being able to reduce inflammation, improve joint movement and reduce the risks of heart disease, plus lower your blood pressure. Around 2 servings of oily fish a week should do you good, and drizzle olive oil over your salads and pasta. Extra virgin olive oil is best uncooked as cooking it at a high temperature can destroy some of its most beneficial properties. Now i'm not sure about how much red meat the average person eats as I really am not a fan anyway, but it's recommended that you stick to one serving per week and no more. The same goes for processed meats such as ham, bacon etc. Red meat does have benefits like being rich is iron and is also full of B12, a vitamin that helps build you DNA and can only be consumed from animal based sources. The Mediterranean diet does not mean eat a big mac each week though, go to your local butchers and get yourself a proper piece of meat, cook it to perfection and you'll enjoy real flavours. I thought that it was a stereotype that French people love wine but after living here for 6 months I can safely say there is a reason why the stereotype exists....they love it. But I can tell you they aren't going to their local Bargain Booze and picking up the cheapest bottle of red they can find and slugging down a bottle each before a night out. No, moderation is key. Red wine has shown signs of reducing the chances of heart disease and is full of flavanoids that are antioxidants and can help to reduce inflammation, but this is one glass in the evening, not a bottle. I could keep writing the word because Mediterranean people tend to eat a hell of a lot of them. I really don't need to go into detail about the health benefits of fruit and veg because we all know they have an infinite amount and that you should try and eat as many as possible. Another thing about the med diet is that they get a variety of different flavours and colours into each meal, don't just stick to the vegetables you're used to, venture out and try and get at least 15 different fruit and veg each week. 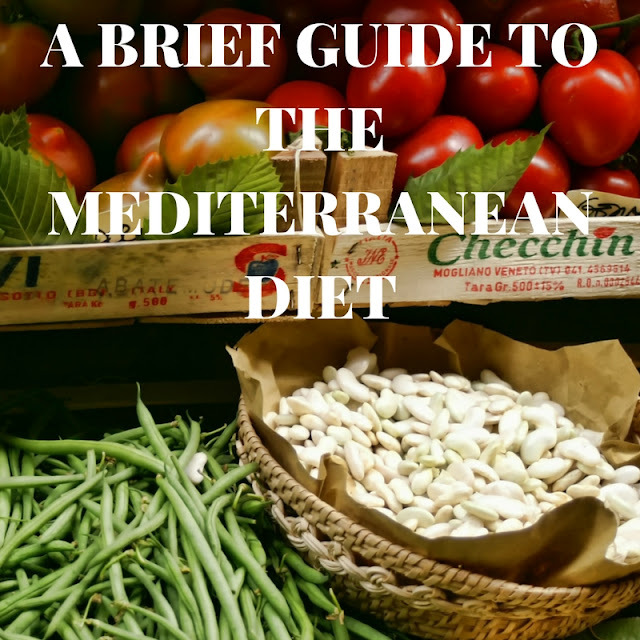 So there you have it, a simple guide to following the Mediterranean diet, make small changes to make a big difference and you'll be on the road to a healthier diet in no time. 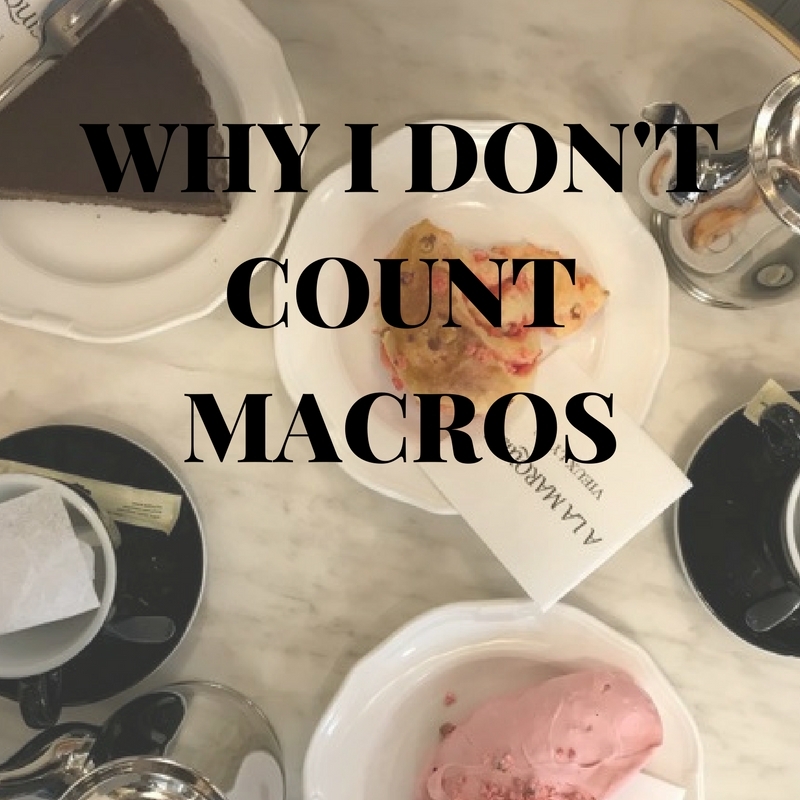 I feel like as I am writing this I will be scrutinized by other Personal Trainers and people in the fitness industry that are adamant counting macros is the best way, but it's just not for me. 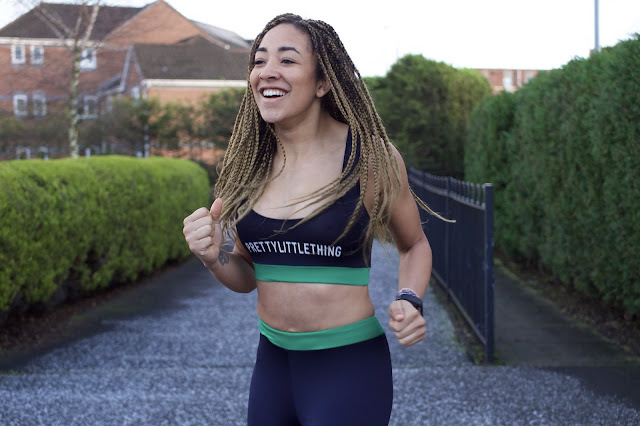 There has been a massive growth in the fitness industry in the last few years and I'm a part of it, which I am really happy about as I am helping to make people healthier. With this growth has come many methods of losing weight, gaining muscle and counting macros has become part of the hype, however body builders have been using it for ages. I am completely not against counting macros as it obviously gets results, if you speak to any fitness model it's 90% guaranteed that they do it, but why don't I? Just in case you don't know, macros are the macronutrients your body needs to survive, these being fat, carbohydrates and protein. I'm not going to be a hypocrite and say that I don't have the time to count the macros in all of my food because everyone can find the time, the fact is I don't want to find the time. There are plenty of other things I would much rather be doing than weighing my food, like spending time cooking delicious meals and going outdoors. I have nothing against people that do this and they have an end goal, but for me it is just far too time consuming when I know i'm at a healthy weight and I know which foods are good and bad. Recently I have also found a bigger pressure on Personal Trainers to compete and look like all of the fat has been sucked out of them, i'm not going to do that. Once my mum was worried I'd start fitness modelling and my first comment was "mum I won't even wear heels on a night out do you think i'm going to step onto a stage is transparent 6 inchers". Again, nothing wrong with competing, I actually think it's pretty amazing what these people do as they have so much self control, but for now I don't want to look like that so I don't need to be so strict with my macros. When i'm cooking I just throw stuff in the pan and generally like to discover what I've made when I taste it. I also like to decide on the day what I want to eat so I go to the supermarket pretty much everyday. This sounds like a nightmare for a lot of people who like to do the 'big shop' once a week but I love to cook and so does my partner so I don't want to be restricted by what I've bought 4 days earlier. Plus, if I'm hungry I'll eat as much as I need to, not just what is within my macros. I have my level 3 in nutrition and I am very aware of which foods are good and bad for you, as are a lot of people. You don't need to count your macros to eat well, make it as simple as possible for yourself; protein with every meal, at least 5 fruit and veg a day and reduce your amount of processed foods. As long as you're not overeating and you exercise regularly you should be okay, the issue can come with macros when people decide that you can eat what you like as long as it's in your macros. For example people who miss meals so they can have a big mac later, sure it's in your macros but it's not healthy is it? Again I want to emphasize that counting macros does have its benefits, it's a great way to track what you're eating if you've got a goal to achieve and as long as you stick to it you can get great results. It's just not for me....if you want to know more about macros drop me a message! Just before I go ahead with this post I want to stress that I am in no way anti-vegan/vegetarian, I even tried being a vegetarian once but Nandos reined me back in way too easily. Some may say that's a lack of will power but I just say I love chicken. 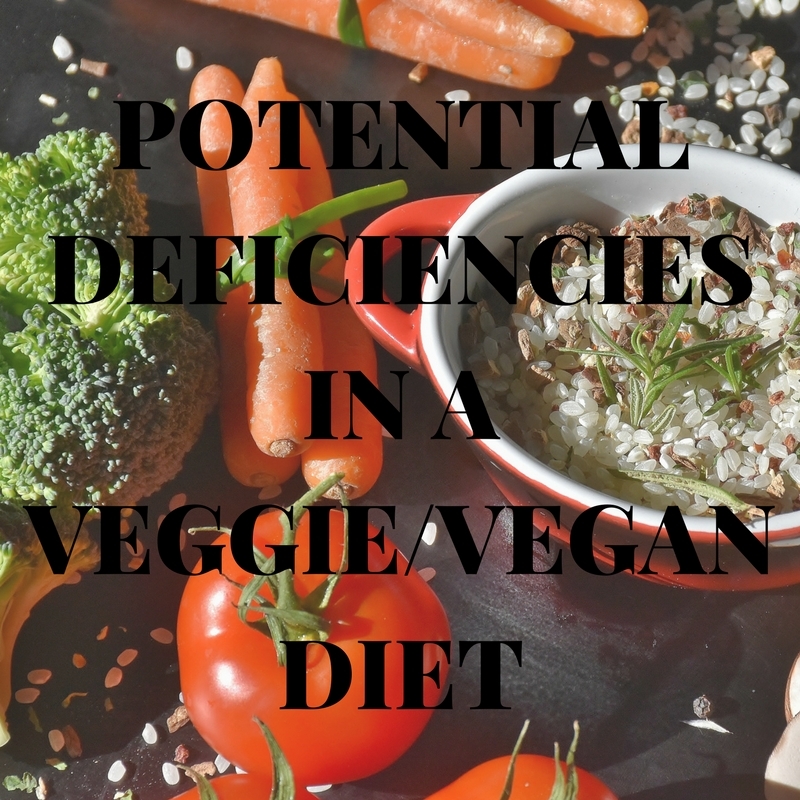 But anyway, this is just a post to highlight some of the potential deficiencies that may occur if you follow a plant based diet and how to avoid them. With plant based diets becoming more and more popular among young people due to social media and a certain Netflix series, it's important to know that there can be certain risks to this type of diet and how to maintain all of the right nutrients whilst on it. Now this one's a biggie, protein is used for a lot of functions in your body, it is broken down into amino acids which are the building blocks for your hair, bones, nails etc. Protein is mainly known to build and repair the muscles but they also make up enzymes and hormones internally which is why it is essential that you provide your body with enough of it. A lack of protein can lead to slow muscle growth, weak bones and weak nails. Iron is a little more difficult to get from plant based sources but is an essential mineral as it is a main part of the haemoglobin in the red blood cells that transports oxygen around the body and to the muscles. If you don't have enough Iron this means that your body cannot create enough of the red blood cells that carry oxygen and this leads to an iron deficient anaemia. Symptoms of anaemia usually include fatigue and cloudy headedness. Your body does not produce B12 and you cannot get it from plant based sources so this is a deficiency that a lot of vegans can suffer from. B12 keeps the nerves and blood cells healthy and helps make DNA. If you are deficient this can lead to tiredness, weakness, constipation and a loss of appetite. Vitamin D is mainly known to come from the sunlight, so if you get enough of this you don't need to get it from food sources. Vit D keeps the bones, teeth and hair healthy and a deficiency can cause rickets which nobody wants. Fat is normally known to have bad connotations, but some fats are in fact really good for us. Omega 3 can protect against heart disease, reduce the risk of clotting and improve your cholesterol, improve good cholesterol, HDL and reduce bad cholesterol, LDL. A lack of omega 3 can cause dry skin, dull hair, brittle nails, poor concentration and joint pain, all things none of us want. Meat Sources: Salmon, mackerel, tuna, sardines. As you can see, whether you are a meat eater or not it is pretty important to get a variety of foods in your diet in order to remain healthy and reduce the chances of deficiencies. If you want to know more about food sources you can check out the NHS website and see how you can improve your meals on a plant based diet. When the Christmas season hits your oven goes into hibernation as you spend 80% of your time eating out and celebrating with friends over the party season, and although a hearty meal may sound comforting in these cold months, your waistline may not be loving it. 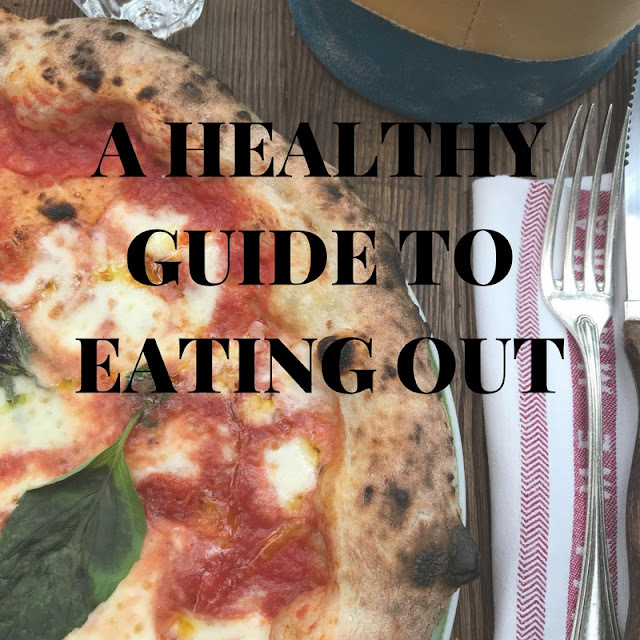 But, there is no need to cancel all of your plans just because you're trying to eat well, there are a few tips and tricks you can follow to ensure that you choose the healthier option at the restaurant without sacrificing taste and your social life. If it's a good restaurant then the ingredients should be fresh and of an excellent quality, this means locally sourced food and nothing that can be thrown from the freezer straight into the oven. If a restaurant has quality food it will usually highlight where the food is sourced and the farms it uses. Check online and read reviews about the place before you go as to whether other people felt the food was fresh. Maybe checkout your local farm restaurant or pub that sources from the farm next door. Now you've got your restaurant sorted and your meal in place it's time to plan the rest of your day around it. If you don't mind being more lenient then don't worry about this step, but if you are being stricter about your diet it will come in handy. If you know there are a certain amount of calories, fats, carbohydrates etc in your meal, make sure you cut down the rest of the day to make up for it. For example, if you know you're going for an Italian, it might be a good idea to drop your carbohydrate intake beforehand, stick to higher fat and protein meals. A lot of restaurants are guilty of giving you portions way bigger than you need, and if you are trying to stick to a balanced diet, maybe you should avoid a buffet. But just eat until you're full and ask for the rest of your meal to take home or give it to a friend. The great thing about eating out is that you usually eat slower because you're busy talking at the same time. This gives your stomach time to register what you're eating and how much your eating so you will probably eat less and become full quicker than if you were scoffing down a meal in front of the tv. All of these points are ways to adjust your meal to make it healthier, but the most important point is that you should have a healthy relationship with food. Each point allows you to enjoy what you want without over indulging and that's the main point to take from this. Eating out is a great way to socialise, enjoy fantastic food and relax instead of slaving over the stove, so enjoy the experience and if you want, indulge yourself a little.....moderation is key. Cereal has been given a hard name recently with lots of people criticising it for being too sugary and normally having loads of crap being added to them. But the simple solution to this is to make your own, it doesn't take long and you can add what you like to make it your perfect cereal. This is a recipe I created to make my perfect granola, you can adjust it to suit your needs or try this one out.....it's delicious. 5. Leave to cool and serve or place in an airtight container. Get in your lunge position and drop your back knee down to the floor, make sure your feet, ankles and knees are all facing forward. Keep your knee above your ankle and square the hips, pushing them forward. You should feel the stretch in your hip. Lie flat on your back and brings your knees to the air, you should be able to touch your heels with your fingertips. Tuck your tailbone in and slowly lift your hips in the air as high as possible and keep your core tight to prevent back injury. The bow pose is a great overall stretch, but especially for the quadriceps and chest. Lie flat on your belly and slowly lift your legs up in the air, then grab onto your ankles with your hands. If this is too much then just lift one leg at a time, keeping the other flat on the floor. 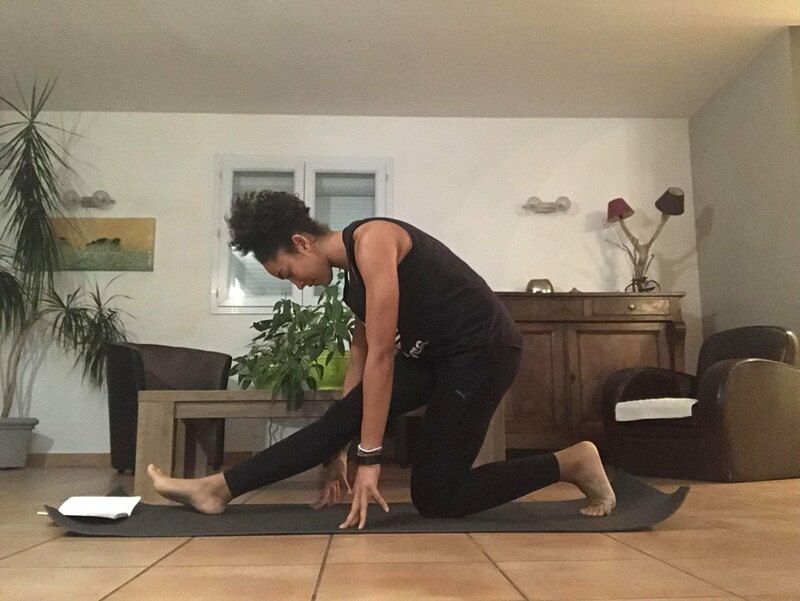 Return to the low lunge position and place one hand on the floor, whilst using the other hand to grab the opposite ankle. If you've got particularly tight quads this may be difficult, so don't worry about trying to touch your foot, just reach as far as you can. If you've had tight glutes before you know the pain is real. 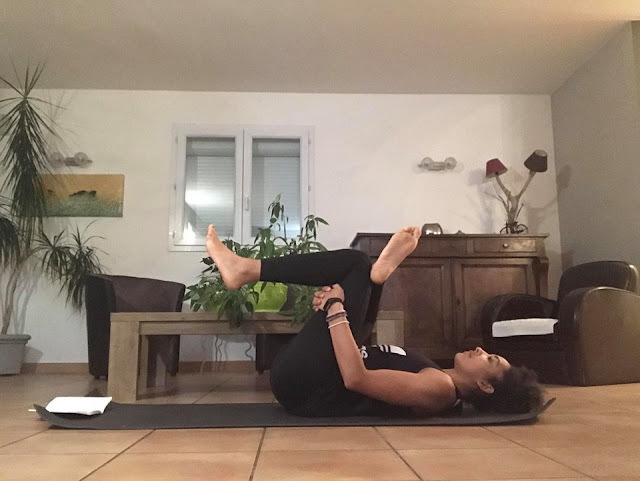 Lie flat on your back and and bring your knees up, then place you right foot on top of your left quad (near the knee). If this is enough of a stretch for you keep it there, if you want to take it further then wrap your hands under your left thigh and lift the leg up. Stretch one leg out long and bring the other foot into the thigh of your long leg. Lean forward as if trying to grab your foot, if you can reach your foot, great, if not don't worry just go as far as comfortable and so that you can feel the pull in your hamstring. If you want to keep going, bring your head to your knee, and if you can do that you're pretty flexible. 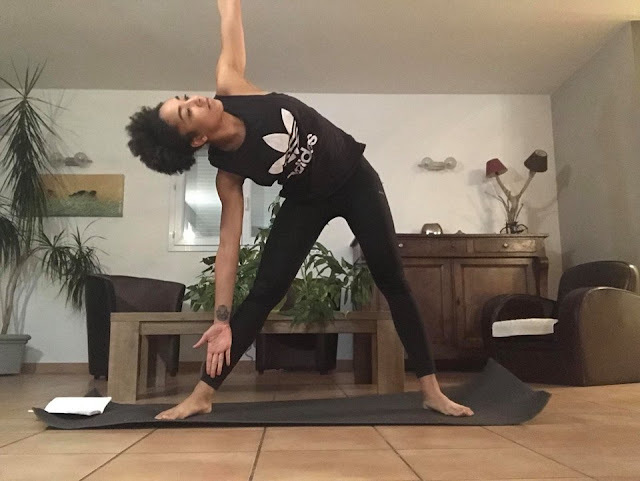 Stand tall and and take your legs out wide (possibly double shoulder width) then slowly bend at the hips and let your head drop down to the floor. Bring your hands down to the floor for a further stretch and keep breathing whilst you try and deepen the stretch. Now as you can see this one was a struggle for me. I've got particularly tight hamstrings and calves and this pose pushes them to the limit. 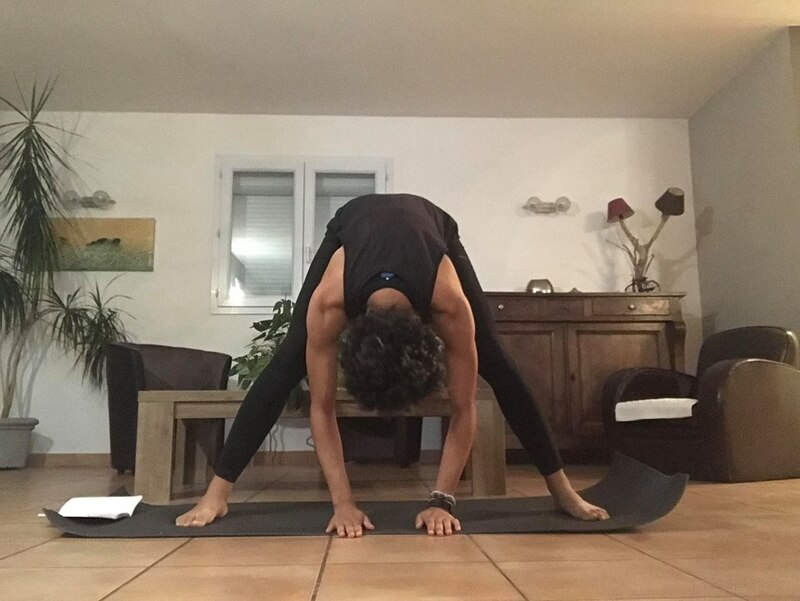 Sit tall on your knees and stretch one leg forward, try and keep your bum and hips stacked on top of knee, if you need to bend your knee then do so. Try and keep your foot flexed for a deeper stretch. Keep your legs straight and stretch your arms out wide, then bend at your hips and drop one arm down to your leg. 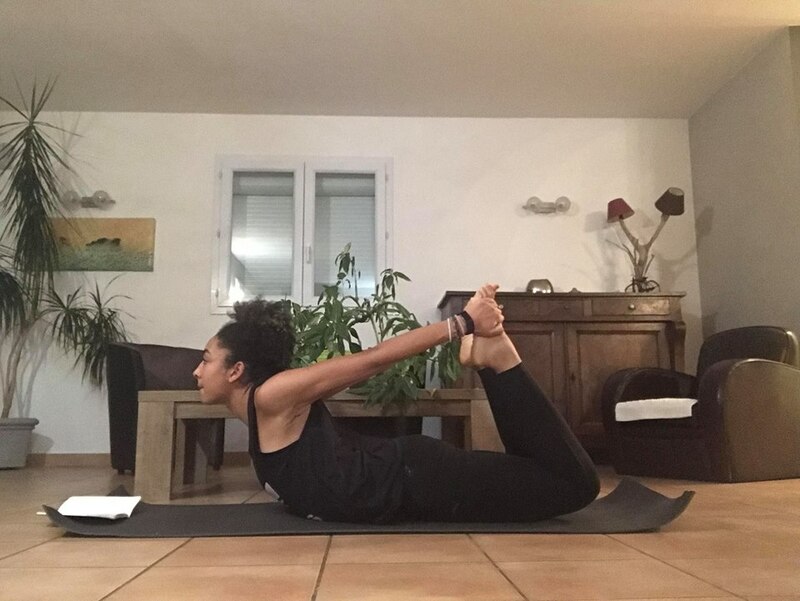 If you can, try and touch the floor, or if you have a yoga block place your hand on that, but keep your legs as straight as possible. If you need any more tips stretching or preparing for running let me know and i'll hit you up with some moves. There are an estimated 4.5 million people in the UK with diabetes and around 700 people a day being diagnosed with it, now if that doesn't make you sit and think nothing will. Around 90% of people in the UK who have diabetes have Type 2 Diabetes which is normally due to being obese/overweight and leading an unhealthy lifestyle. 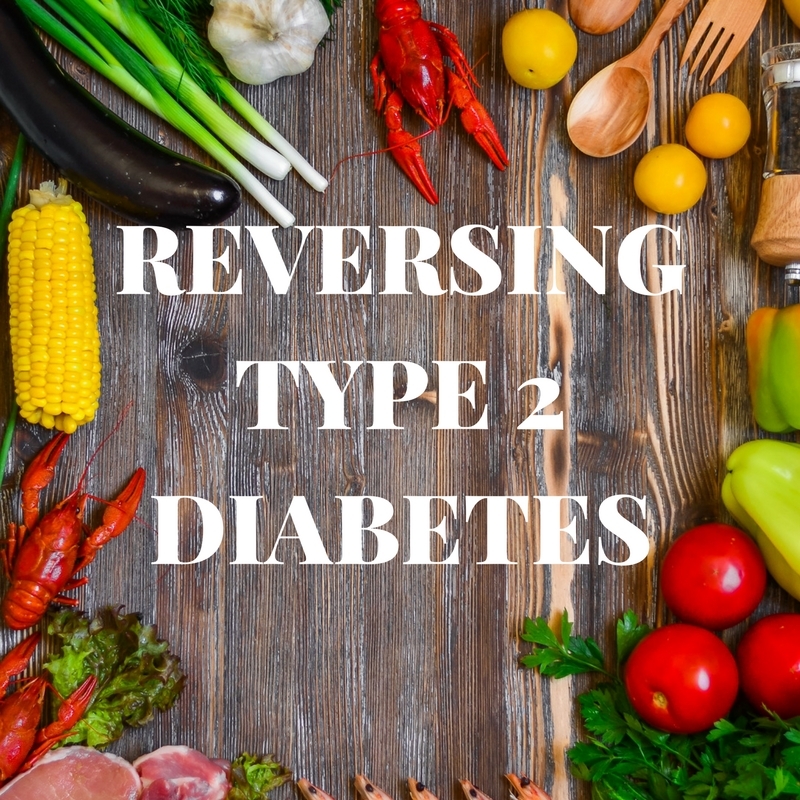 Most people with Type 2 diabetes will take some form of tablets to control their symptoms, but studies have shown that it may be possible to reverse your symptoms and put yourself into remission through a change of diet and exercise. When we eat carbohydrates, the sugar is converted to energy and used when we are performing physical activities and in our day to day lives. Our pancreas creates the hormone Insulin which is used to balance your blood sugar levels and turns this sugar you eat into energy for the body. However, with type 2 diabetes, your pancreas is producing the the insulin but the cells are not able to use it properly and this creates insulin resistance. Eventually it gets to a point where the production of insulin cannot keep up with the amount of sugar and the sugar builds up in your blood instead of being used for energy. Symptoms of diabetes include fatigue, excessive thirst and frequent need to go the the bathroom, however people with type 2 diabetes can also be at an increased risk of cardiovascular disease. If close relatives have type 2 diabetes you may be at more of a risk, however the main causes of the disease are being overweight and a lack of exercise. Being obese accounts for around 80% of the risk of having type 2 diabetes and with nearly 2 in 3 people in the UK being overweight or obese (a pretty scary fact) it means that the rate of type two diabetes is also increasing. The ever increasing amount of refined carbohydrates and sugary foods we are consuming means that our blood sugar levels are spiking and poor old insulin can't keep up. Plus with a lot of people not doing the daily recommended amount of exercise, we are not using enough of the sugar as energy and it is instead stored as fat. It may be possible to put type 2 diabetes into remission through a low carbohydrate diet. The theory behind this is that if you aren't eating foods that produce a lot of sugar, there is less of a need for insulin, therefore lowering insulin resistance. A study in 2014 at the Second University of Naples put patients on a low carb, Mediterranean diet and 15% of patients were in remission after one year and 5% after 6 years. This may not seem like such a high percentage, but with around 700 people a day in the UK being diagnosed it doesn't seem like such a bad idea to give the diet a go. Another diet that has proven to show signs of reversing type 2 diabetes is a very low calorie diet. This is more extreme than the low carb diet but has some potentially exciting outcomes. in 2011 scientists at Newcastle University places people with type 2 diabetes on an 800kcal diet consisting mainly of meal shakes and vegetables. 7 out of 11 of the participants achieved remission which included weight-loss and reduced insulin resistance. Further studies have shown the possibilities of this diet working have been proven in rodents with type 2 diabetes when their calorie intake has been reduced to 1/4 of the usual daily amount. Professor Roy Taylor at Newcastle University discusses how excess calories contributes to excess fat in the liver which means it does not respond well to insulin and as a result produces more glucose. Then as this fat moves into the pancreas, the cells that produce the insulin stop working as well, meaning if there were less calories and less fat, there is a decreased risk of damage in the liver and pancreas. Overall, studies are showing that leading a healthier lifestyle, meaning a balanced diet reduced in refined carbohydrates and plenty of exercise means you are at less of a risk of getting type 2 diabetes. However if you do have the disease and are looking of ways to better your symptoms through diet and wellbeing, speak to your doctor first before embarking on a new diet because although I do the research I am just a health blogger and there is no Dr before my name. How many of you can say that you do anyway near 10,000 steps a day on average? I know that I struggle sometimes, it isn't easy if your job involves sitting on your backside for most of the time. If this is the case I suggest you get yourself some sort of fitness watch to track your steps. Since having my FitBit I've become much more aware of how much I walk and on days when it's not a lot, I make myself get up and walk about. If you do sit down most of the day, try getting up and going for a short walk every 30 minutes, or instead of taking the lift all of the time, take the stairs. I can guarantee that the little things add up. Another thing to do is set yourself little tasks, like do 10 squats every time you make a cup of tea, it may look ridiculous at first but no one will be laughing when you've got a Beyonce bum. 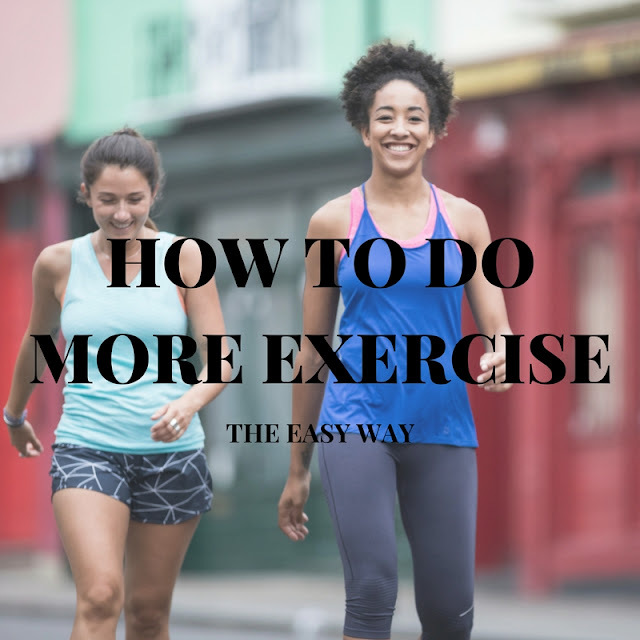 Now I know this is a big ask for some people who really do not like the mornings, but if you are one to put off exercise, getting it over and done with in the morning can be a good solution. 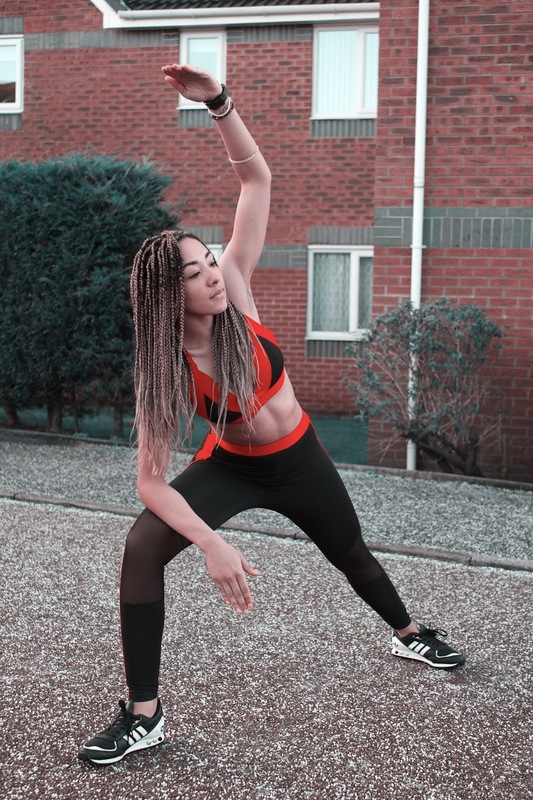 A lot of us spend our mornings sat in front of the TV eating cereal, but what about nipping to the gym before work and feeling fresh for the day ahead. If this is too much to ask, make some space in your home and do a home workout in front of the TV. And even if that looks like a step too far for now, get up and do 15 mins of yoga when you get out of bed.....compromise. So many gyms these days offer lunch time classes so make the most of them and head down for a quick 30 minute sweat session. Again, this is another time when you would maybe not be doing anything important and you can fit in a little workout a few times a week. Bring along friends from work, or start a little running club where some of you go for a run on your lunch break (so long as there as showers somewhere). This will also help you to feel more refreshed during the afternoon when most people start drooling at their desk. If you are within walking/cycling distance of work why don't you try leaving your car at home a few days a week and taking a more active mode of transport. My cycle to work is only 10 minutes but it's still exercise at the end of the day and clears my head. If you commute and this isn't possible, exchange the car for a walk when you need to nip to the shops, and if you live completely in the middle of nowhere, go and get some fresh air in the countryside. If you've told your friend that you are meeting them at 6:30 for the legs. bums and tums class it is more likely that you are going to go than if you were on your own because you don't want to let that person down. Yes you're right it's like guilt tripping yourself into going to the gym. Hopefully, exercise should never be that horrific that you have to force yourself to do it all of the time, but sometimes when you just need that kick, a friend can be a good way to push you. If you're looking for some home workouts feel free to comment on this post or email me at barberamafitness@gmail.com and I can send you over some plans. What is the gut microbiota? 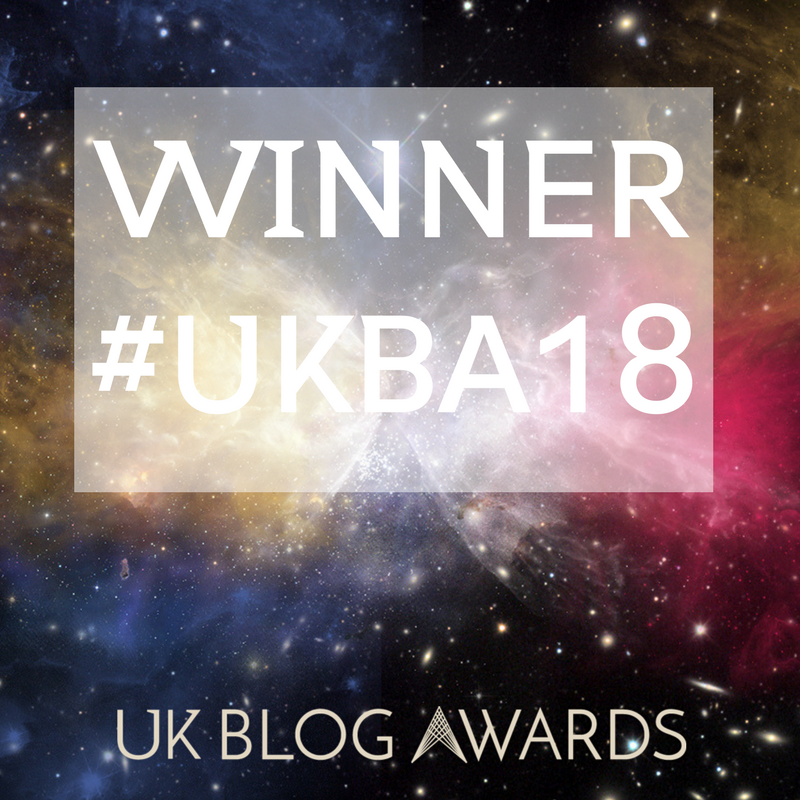 Talk of the gut, digestion, poop and all other things like that have really become big in the last few years in science and it's starting to become much more mainstream with all sorts of health practitioners writing books on how we can improve our gut health. 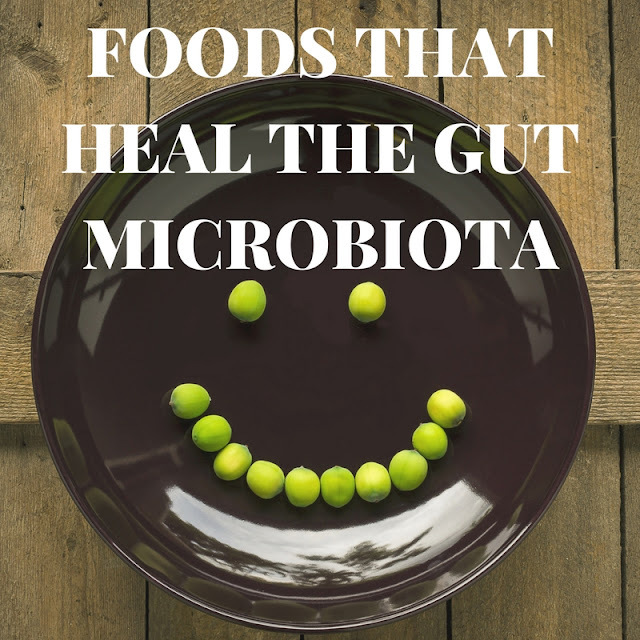 But what is the gut microbiota? Well it is also known as your 'gut flora' and is the place where microbes (i'm talking billions/trillions) live in our intestine. There are in fact more of these bacteria than there are of our own so it's pretty vital that we pay them a lot of attention. It may sound pretty horrible to think of bacteria living inside us but we need these guys to survive, there are good and bad bacteria living in the digestive tract and we would be pretty useless without them. Recent studies have shown that cranberries may be beneficial to our gut. There are sugars in the cranberry cell wall that our body cannot digest called xylogucans, so as a result they are sent into the intestine when bacteria gets to nibble on it instead and break it down. This sugar has been shown to help the good bacteria in our gut and keep feeding it the nutrients it needs. If you haven't heard the word 'probiotic' recently you haven't been scrolling through social media enough, it's everywhere. Probiotics are a substance that stimulates the growth of good bacteria in your gut, so when things are going a bit topsy turvy down there it's important to try and rebalance with probiotic. The issue comes with buying probiotic supplements; as there are no restrictions on the supplements some may be beneficial whilst others are a load of crap and not worth your money. This is why your best bet is to get probiotics through food. Kefir is a type of fermented milk (similar to yoghurt) but has a sour kick to it. With around 30 strains of good bacteria it is great for rebalancing the gut and as the lactose has already been broken down some people that are usually lactose intolerant don't have difficulty with it. However be warned....it's not for the faint hearted. Another fermented favourite of 2017 is Kombucha. This is made from fermented black tea, sugar and SCOBY (symbiotic colony of bacteria & yeast). Like Kefir, Kombucha is a known probiotic and can help to restore your gut back to good health, as well as having antioxidant benefits, but be careful when buying shop bought Kombucha, they can add horrific amounts of sugar to make it taste better. We've all seen a yoghurt advert that states that it will improve bloating and help the gut with bifidos whatever, but most commercial yoghurts don't have anywhere near enough bacteria to make any difference. If you want to get some good bacteria you should try a farmer's market and get hold of some fresh yoghurt with live cultures, or give it a go yourself! This little duo basically solve most problems when it comes to diet and people will always recommend that you eat more of them. Eating a diverse range of fruit and veg means a more diverse gut which is what you want. Try the rainbow method, have fruit and veg in a variety of colours each week and make your meals more exciting.